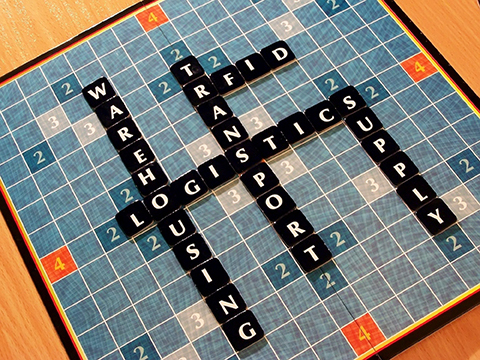 Logistics: the detailed coordination of a complex operation involving many people, facilities, or supplies. Enhance business efficiency and streamline work processes with our broad array of software options. CMS’ solutions offer the technology to maximize productivity and reduce overhead costs for your business – from shipping outgoing parcels with a multi-carrier system, tracking incoming parcels and files, auditing freight bills, updating mailing lists to ensure accuracy and making sure your data is protected and backed up in the event of a disaster – our software solutions provide the answer to ease your operations. Manage your shipping processes more easily with our fully integrated shipping software. Improve cost-efficiency by comparing multiple carrier rates to determine which is most cost-effective. Use your own business rules to minimize interruptions and reduce costs. Reliable reporting allows you to monitor costs and recover charges for packages not delivered on time. Our range of small to enterprise-wide applications ensures we have a solution that is right for your business. Sorting company correspondence, accelerating internal deliveries, and tracking deliveries don’t need to be a source of added labor for your team. With our Receiving Systems , you gain greater control over the dissemination of mail, packages and documents within your company. Notify recipients of package delivery and track progress as it reaches their desk for greater control and security. Capture recipient signatures upon delivery. You’ll gain greater control and peace-of-mind for all your in-house delivery operations. Our analytic software helps you reduce address errors and streamline your mailing operations. Real-time address correction and mail pre-sorting tools ensure your communications get delivered, significantly reduce undeliverable mail and lowers your overall mailing costs. Our Account Reporting software allows you to monitor, track and control postage activities from multiple locations, increasing efficiency while reducing errors. Save money by reducing postage costs due to bad addresses or by qualifying for presort rates. When it comes to customer relationship management, our cloud-based solutions allow you to interact and communicate with your customers based on their preferences. Online bill-paying is convenient for your customers while at the same time reduces your overhead and improves cash flow. Communications can be delivered to customers via traditional print or electronic means. Real-time reporting allows you to track electronic communications and easily manage exceptions. Our intuitive document delivery system will give you the ability to enhance customer relationships. How much data can you afford to lose? Are you protected from both natural and man-made disasters such as viruses or stolen data? Wouldn’t you sleep better knowing that your data is protected from these types of disasters? Check out our Business Continuity Solutions for the right fit for your organization. With Complete Mailing Solutions, you can turn complicated processes into a simple, customizable operation. Our software solutions also give way to efficient integration of postage meter machines into your existing processes. Get in touch with us today and find out how our logistics software can transform your business processes for high-value performance. Ancillary Endorsements – What Are They? Why Use Them?